This rear wheel drive used 2002 Ford F-150 XLT features a Oxford White exterior with a Medium Graphite interior and has only 180,651 miles. STOCK# 100909 PRICED BELOW MARKET RETAIL VALUE! Terre Haute Auto has this used 2002 Ford F-150 XLT for sale today. Don’t forget Terre Haute Auto WILL BUY OR TRADE FOR YOUR USED CAR, USED TRUCK and/or USED SUV! Our Used Car Dealership in Terre Haute: Call Terre Haute Auto today at (812) 299-4505 TO SCHEDULE YOUR TEST DRIVE of this 2002 Ford F-150 XLT! Terre Haute Auto serves Terre Haute, New Goshen & Brazil, IN. You can also visit us at, 13350 S US Highway 41 Terre Haute IN, 47802 to check it out in person! 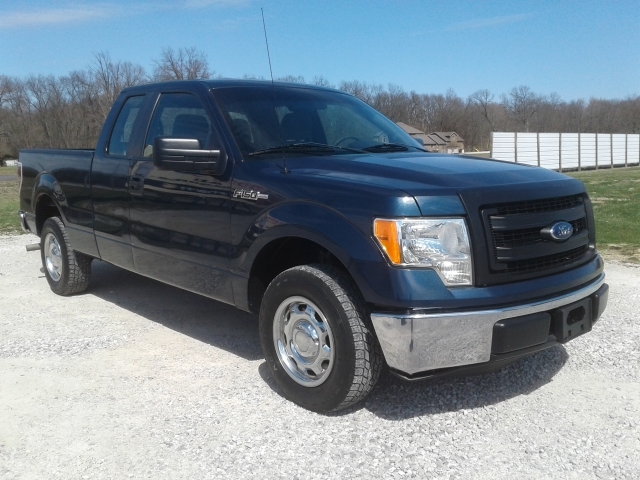 We’re glad you found this used Ford F-150 for sale at our car dealership in Terre Haute, IN. Looking for financing? Our Terre Haute Auto finance specialist will find the best rates available for this used Ford F-150 for sale. Terre Haute Auto has used cars for sale in Terre Haute.